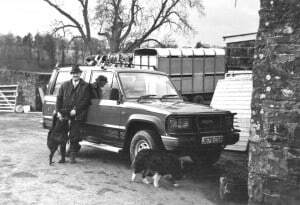 In 1979, with little more than an old van and the proceeds from the sale of the family caravan, Bob Wilkie founded Strathearn Garden and Farm Services in Crieff, Perthshire. A name change followed in time and now 40 years later Strathearn Pest Control is one of Central Scotland’s leading independently owned pest control companies. Back in the day, Bob was a familiar sight around Strathearn concentrating on farm and residential properties. With previous experience in the pest control industry, he built a reputation as a fast, efficient provider of pest control services at a cost effective price. As the business grew, Strathearn Pest Control has expanded and provides a wide range of pest control solutions for residential, commercial and agricultural clients throughout Scotland. 40 years on the business is now run on a daily basis by his son Robert (junior). He started working with his father over 25 years ago. Employing a team of pest technicians based in and around Central Scotland, the company continues to provide Products and Services to an ever increasing customer base for an ever increasing amount of pests. From ants to wasps to bees, mice to rats to birds and a wide array of other pests, Strathearn Pest Control has the solution for everybody. The technicians are fully trained to BPCA standards and continually attend training events to ensure the company employs the very latest pest control techniques. By providing a safe, reliable and effective pest control service the company supplies a peace of mind and the reassurance of professional pest solutions to ensure the client is in safe hands. The company is justifiably proud of it’s heritage, prouder still that it continues to uphold the tradition of the customer service that Bob Wilkie considered to be the cornerstone of his business when he started the company 40 years ago.